Senior Counsel Dushyant Dave, appearing for NGO Common Cause, sought a two fold relief- that the divestiture of Alok Kumar Verma of the charge of the CBI as well the appointment of Mr. M. Nageshwar Rao as the Interim Director be set aside. The Chief Justice required him to confine his arguments to the propriety of the move of sending Verma on leave without running it by the Selection Committee first. Insisting that in matters of discipline the CVC has no role to play, Mr. Dave relied on Nagaraj Shivarao Karjagi v. Syndicate Bank (1991) where the apex court had quashed the compulsory retirement of a Manager in a branch of the respondent-Bank, imposed by way of punishment on the recommendation of the Commission. He indicated a 1978 Supreme Court ruling in so far as it notes that “to carry out effectually the object of a Statute, it must be construed as to defeat all attempts to do, or avoid doing, in an indirect or circuitous manner that which it has prohibited or enjoined". "In another verdict rendered in 2001, the apex court has observed that “when a statute vests certain power in an authority to be exercised in a particular manner then the said authority has to exercise it only in the manner provided in the statute itself”. “If the rule of law is to be upheld, the impugned orders must be declared void ab initio and be set aside”, he signed off. 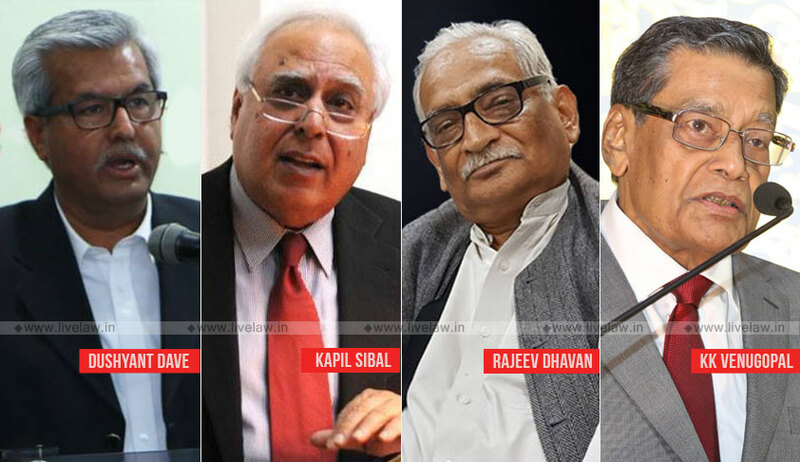 Next, Senior Advocate Kapil Sibal, representing Congress leader Mallikarjun Kharje, argued that the CVC could not have passed the impugned order under clauses (a) and (b) of section 8(1) of the CVC Act of 2003 as these provisions only grant the Commission a limited power of superintendence over the CBI in investigations under the Prevention of Corruption Act. Further, section 4(1) of the DSPE Act also restricts the scope of CVC’s superintendence to specific investigations. “To seal his office and to not allow him to function is outside the ambit of the power of the CVC. The order relates to his conduct as the Director of the CBI”, he submitted. “The DoPT also could not have passed its order under section 4(2) of the DSPE Act on a consideration of the CVC recommendation and the allegations of corruption. Neither the CVC nor the government can override sections 4A and 4B (of the DSPE)”, pressed Mr. Sibal. He, however, differed from Mr. Fali S. Nariman on that where there are clear statutory provisions, the government could not have moved the court to seek permission for Verma’s divestiture. “When there are allegations against the CVC, the government sits on it. But the CBI Special Director makes a complaint and the charge is withdrawn from the Director. The government says it wants to save the institution. But this destroys the institution!...There are allegations and counter-allegations between two authorities. There are even allegations against the CVC...it could not have been the judge in this situation...”, he contended. “Don’t bring in the CVC. We are not going into all this. We are only on the question of law”, repeated the Chief Justice. “For all tenured posts, be it the Union Public Service Commissioner or the CAG, there is a procedure in place. But here the decision was taken at the level of the executive, without following the prescribed procedure, and by a entity not empowered to take that decision. The Independence of the institution has been compromised. If they wanted to appoint a pro-tem Director, even that should have gone through the Selection committee...”, Mr. Sibal continued. “Are you advancing a proposition that a reference to the Selection Committee is an absolute necessity with no exceptions? that the director cannot be touched, suspended or replaced by any governmental order, regardless of how compelling the circumstances may be?”, inquired Chief Justice Gogoi. The Senior Counsel and Congress MP replied in the affirmative. “Yes, all circumstances! The provision (section 4B of the DSPE Act) speaks of ‘Previous consent’, Not even just consent! You cannot go to the committee later! There cannot be a post-decisional hearing!”, added Mr. Nariman. Thereupon, Senior Advocate Rajiv Dhawan sought to advance submissions on the pleas of CBI officers Ashwini Kumar Gupta and A. K. Bassi investigating bribery allegations against CBI Special Director Rakesh Asthana, challenging their transfers. Dr. Dhawan suggested that the meaning of ‘superintendence’ in sections 8(1)(a) and 8(1)(h) of the CVC Act is pari materia to section 4A of the DSPE Act and the Police Act of 1861. “Suppose there is no such power, then who fills the lacuna in the Act? Neither the Central government nor the CVC. Casus Omissus is not permitted to the administration. Only Your Lordships can plug that gap. But not now, because when the power was exercised, it did not even exist under any of the provisions facilitating ‘superintendence’”, he claimed. “One of the facts of the long night (on which the CVC and Central government orders divesting Verma of the charge of the CBI and appointing Rao as the interim Director were passed) is that people carrying out investigations were transferred...If Your Lordships ask whether questions of investigation are involved, the answer would be ‘yes’. “Your plea challenges your transfer and seeks a SIT into the FIR (against Asthana). how does this substantiate your locus to be heard on the issue here?”, posed Chief Justice Gogoi. “My transfer is imbricated in the fact that the Director was removed”, replied Dr. Dhawan. “So you are saying that if the Director had not been removed, you would not have been transferred?”, pressed the Chief Justice. “No, no, no...if the Director had not been removed, I would have continued my investigation...but if Your Lordships are only on the issue of the empowerment (to issue the impugned orders) and not on merits, then I am only here to assist you...”, articulated the Senior Counsel. “There have been as many as 10 transfers in connection with the said FIR. I have been transferred from Delhi to Nagpur and de facto, removed from the investigation...There was a genuine apprehension that everyone on it could be victimised. We are here to seek your protection against being transposed from an investigating officer to an accused...”, she pleaded. “We are not debating these questions at the moment”, reflected the CJI.